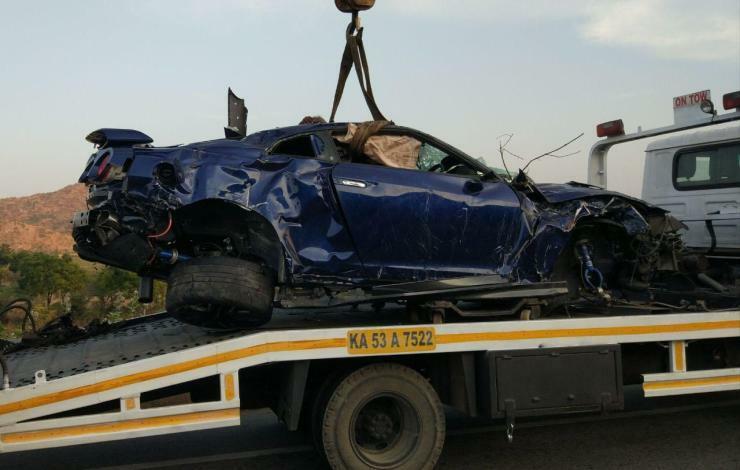 In what appears to have been a high-speed crash, a Nissan GT-R was damaged beyond repair on the Bangalore-Hyderabad Highway. The driver of the Nissan GT-R lost control while trying to avoid a pedestrian (a kid) crossing road which led to the crash. Nissan’s Zone Body construction and Advanced Air Bag System, which includes dual-stage supplemental front air bags with seat belt sensors and an occupant-classification sensor, came to the rescue and despite the severe crash, the driver of the vehicle escaped without any major injury. 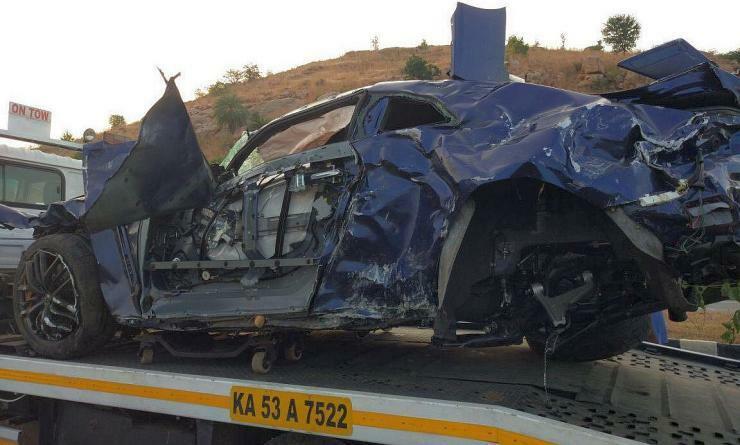 The INR 2 crore (ex-showroom) supercar, however, wasn’t so lucky. The images reveal the severe damage that the supercar suffered and it’s unlikely that it will ever roll on the streets again. In case you’re curious to know, the GT-R’s 3.8-litre 24-valve twin-turbocharged V6 engine – each handcrafted by its own TAKUMI technician – is tuned to deliver 570 PS of power at 6,800 rpm and 637Nm of torque. How can you save your prized possession from suffering such fate? Do you have any additions for the safety tips? Let us know your views through the comments section below.